Professor Victor Francis Lambert presented his Semon Lecture in 1959. He gave a general description of the symptoms, diagnosis and treatment of post-nasal tumors, with warning that histological diagnosis is frequently inaccurate and that diagnosis is often far too late, therefore highlighting that more attention to early signs is needed. Victor Lambert was born in Greater Manchester, England, on the 12th of August 1899. 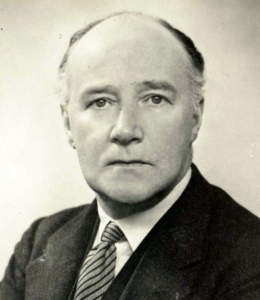 After the Second World War, Lambert was selected to be professor of otolaryngology at the University of Manchester, the first time an appointment of this nature had been made at a university in the United Kingdom. He was also a member of a number of societies, incuding his time as President of the Section of Laryngology of the Royal Society of Medicine.